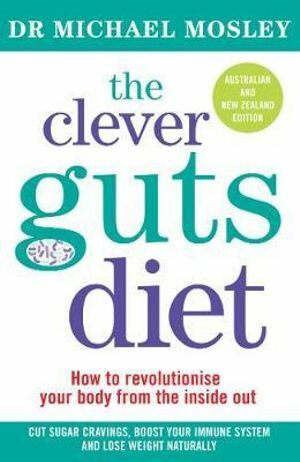 I have just finished reading The Clever Guts Diet by Dr Michael Mosley and – WOW. I am not usually one to read books like this (thinking they are boring) but I could not be more wrong. It is absolutely fascinating and I am finding myself wondering how I can justify sending poo samples to America to check my gut microbes, and sending off more samples to Israel to find out the right foods for my optimal gut health! This book is teaming with new research into gut health and the incredible role our Old Friends (gut bacteria) play in our complete health and wellbeing. There is incredible research showing the link between gut health and auto-immune disease and also depression. My favourite fact so far? Breast milk contains compounds that babies cannot digest, but which encourage the growth of ‘good’ bacteria; meaning that breast milk contains substances whose only purpose is to feed Old Friends. Amazing, right?! Shows how important good gut health is. My poor husband is enduring me reading these types of facts out loud every few minutes but I know he’s not really listening… the joke is on him, because I will ensure Cam reads this book next!